Trabada is located on the Costa Verde (Green Coast) of Spain and is a small village close to Mondoñedo. Lugo is just a short drive away. 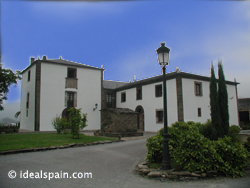 The hotel is situated within its own estate of over 30 hectares. The hotel is surrounded by forests and open fields. The beach is just 18km away. 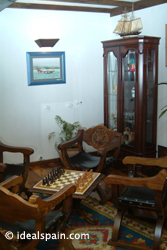 The hotel is based within a fully restored manor house and tower that dates from 1557. The tower is restored almost exactly as it once was. No expense has been spared in the restoration. The bedrooms are of a high standard, with period furniture yet modern bathrooms, TV and telephone. The hotel has all the facilities you would expect in a modern hotel, including a heated, outdoor pool for guests. 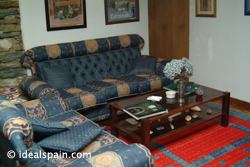 There are ample public lounges, all furnished to a high standard. Meals are taken in the tower dining room. Galician cuisine is great here. Breakfasts are of a high quality. Evening meals can be booked in advance. There is an open log fire. This hotel occupies a unique and very interesting building. 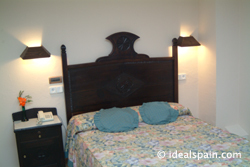 The owners have made a great job of restoration and have developed a very comfortable hotel. The pool is a great advantage and is set in lovely gardens. 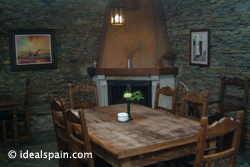 The little village of Trabada is a five minute walk and there you will find several good mesons and bars. The local people made us very welcome. Excellent value for money. Quiet, secluded location and good quality hotel.